So you are planning to split a large amount of wood? Of some big logs? Then a splitting maul is the right tool for the job. But what is the best wood splitting maul? Which one should you buy? Below you will find the best splitting maul and at the end of the article, a nice comparison table with all the important details compared. 1 What is a splitting maul? What is a splitting maul? Before we go to the best splitting maul, let me first point out the important details of a splitting maul and when you should use it. 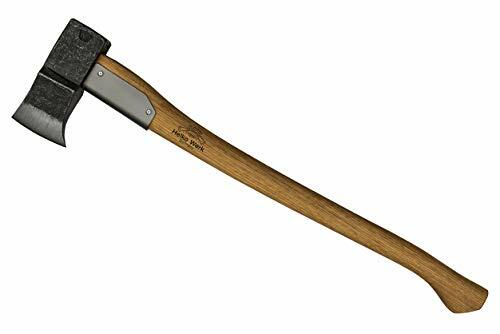 A splitting maul is basically a large sledgehammer with an axe head on it. The weight of the head is around the 6 to 8 pounds which give it a lot of force. The blade edge is not sharp, the maul splits the wood through sheer force. Depending on the size and quantity of the wood you want to split, you need either a splitting axe or a splitting maul. 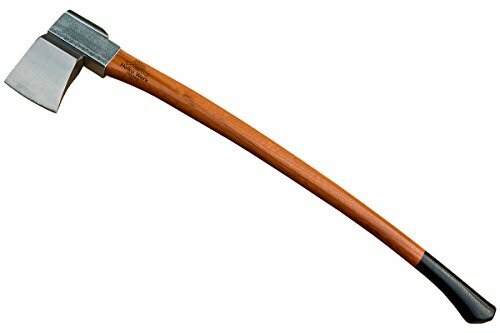 If you need to split a lot of wood or large chunks of wood then the splitting maul is a great choice. The heavier weight will give you extra power, which results in less time working!. As always I only list the best tools, so not a list of 10 or more splittings mauls. You are looking for the best splitting maul, these are the best splitting mauls. On a lot of blogs, you will find splitting axes between the mauls. A maul has a blunt head with a weight between 6 to 8 pounds! The shortest and lightest maul in the list. The Husqvarna axes are made from Swedish steel which is a high-quality steel. If you are not an experienced wood splitter, then the shorter handle and lighter head are perfect to start with. Another advantage of the shorter handle is that it will improve your accuracy. The IsoCore system of Fiskars absorbs shocks and vibration, reducing the punishment your body takes up to two times. The Fiskars is a powerful maul which allows you to split a great amount of wood while helping to reduce the muscle fatigue and joint pain. The Fiskars IsoCore Maul can be used in combination with the Fiskars IsoCore Sledge Hammer to give it some extra power. The weight balance of the Fiskars is great, and the head geometry is really good. With a lifetime warranty, you are set for life with this great splitting maul! A premium splitting maul, this heavy duty log splitter is made for the most difficult jobs. The head has a deep wedge shape and combined with the heavy weight, it delivers a powerful striking force. Helko Werk is made in Germany. They use German high-grade carbon steel for the head. The handle is crafted in Switzerland and made from Grade A Hickory. What I love about the Helko Werk maul is that they include a bottle of Axe-Guard to protect the head and an Allen wrench for the bolds. You pay a fair amount of money of the maul, but it’s worth every dollar of it. Yes, the product title says “Splitting Axe”, but in my opinion, it has all the characteristic of the splitting maul. A length of 31 inches (ok, it’s a short maul), and a head weight of 6.2 pounds. So it’s on the edge of a powerful splitting axe or a full-size maul. It’s a Helko, so also made from high-grade German steel and a handle made in Switzerland. It has the premium build quality we are used to from Helko. If you buy this, you get a great product for life. I listed this Helko because it’s perfect if you are not so tall of not an experienced wood splitter. The lighter head and shorter handle it will give you more control and requires less strength. This Wilton is also a great splitting maul. The handle is unbreakable, it’s made from vulcanized rubber with steel rods inside it. The rubber and Anti-Vibe neck reduce the vibrations. 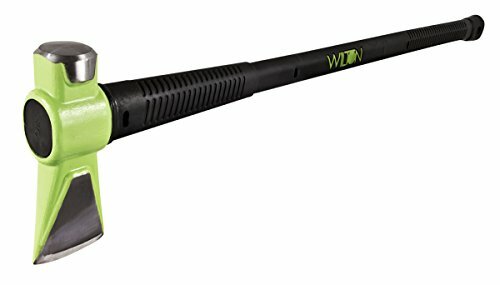 Wilton holds a contest, awarding $ 1000 to the first person breaking the handle. So you don’t have to worry about that. Father of two, living in a typical Swedish archipelago house. Burning through several cords of wood every year. I can’t decide between the Fiskars and the Wilton. What would you reckon? Precisely what I was looking for! Best tools and tips for chopping wood. We compare and review the best axes, mauls and other must-have tools for splitting your own wood.